‘You don’t need a parachute to go skydiving just like you don’t need training to ride a motorcycle…but what if you want to do it twice? 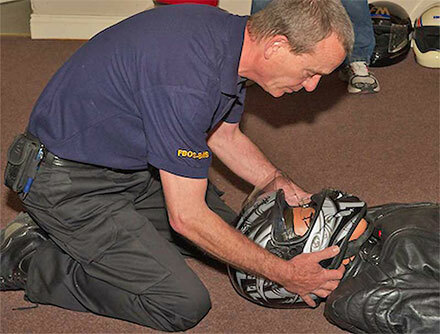 Just got back from a First Bike on Scene Course today and Learn2Ride thoroughly recommends it. Why? Well, just do yourself a favour right now and take a second to answer this question? Be honest! Would you know exactly what to do if you were the first rider to appear at the scene of a motorcycle crash? Truthfully? If you said, ‘Yes, probably’, then you’re in the same boat I was. 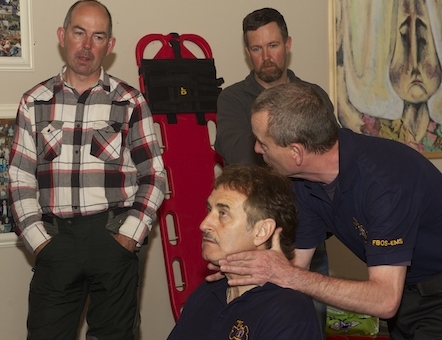 I was surprised today by how much I didn’t know that I didn’t even know – and I have been trained in first aid before. If you answered ‘No’, then just book a course. Now! No ifs, no buts, no maybe’s. Seriously, don’t think, ‘it won’t happen to me’. Sooner or later statistically you’ll be involved in or come across a motorcycle crash. So just do this right now! Fill in the booking form, pay the fee, go to the course and that’s it. You won’t regret it: I certainly didn’t. The course is fun, enjoyable, well-structured and with hours of hands-on training as well as thought provoking questions and exercises that reflect the real-life possible crash scenarios that any motorcyclist might encounter. 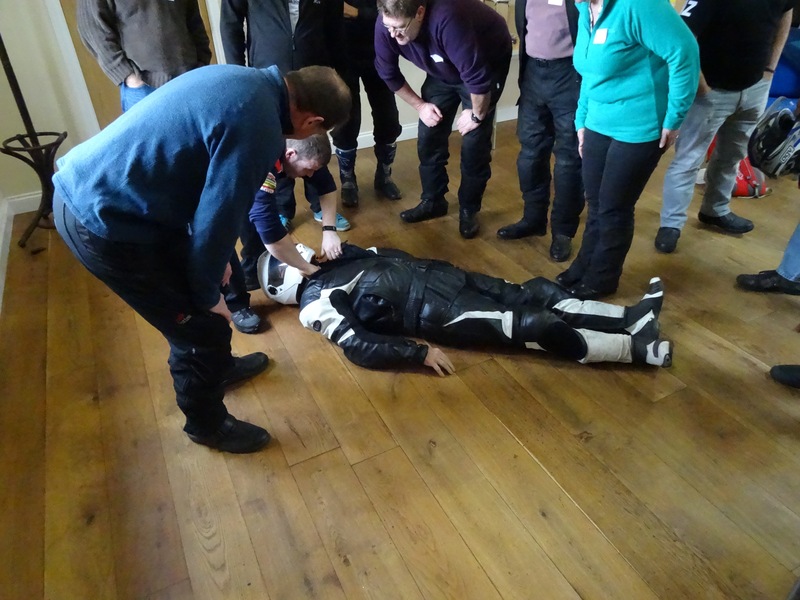 This isn’t your everyday first aid course. Your instructors are knowledgeable, friendly and dedicated. 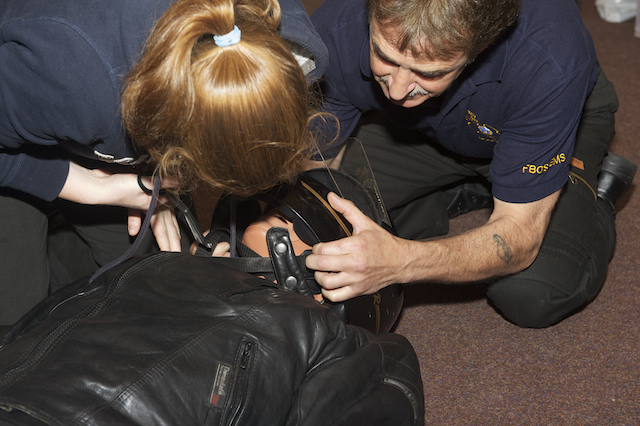 As a professional motorcycle instructor myself I recognise high-quality training when I see it. 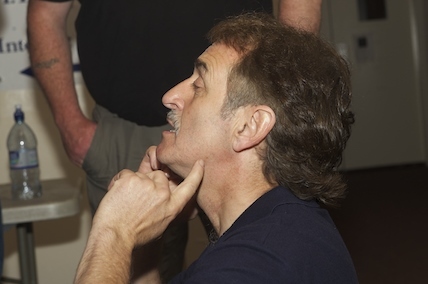 ‘I really enjoyed the course and thought it invaluable to all bikers. An informative course, well presented and enjoyable. 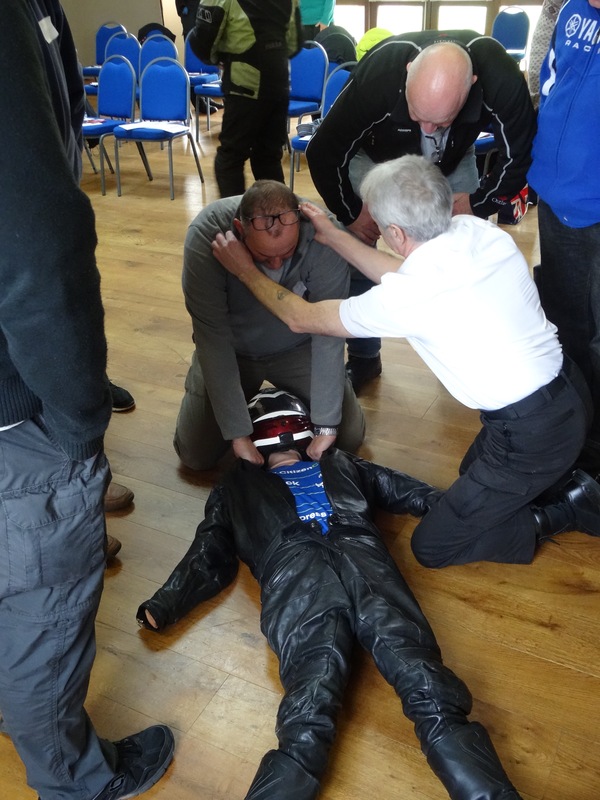 Thanks again guys!’ – Fergal C.
‘I was there as an observer at yesterday’s Unity Riders FBoS and having been part off and helped lead similar courses, I was very impressed with the presentation and content of the course. I went away with six items I learnt that I didn’t have explained in the simple but effective way it was. Thanks for an interesting and informative day, there was a positive buzz from the people on the course. Once again Thank you,’ – G.M. ‘Myself and my hubby did our FBOS training at Northridge House, St. Luke’s, Cork. We learnt loads from it, our trainer Rodge did an amazing job in explaining everything we needed to know. 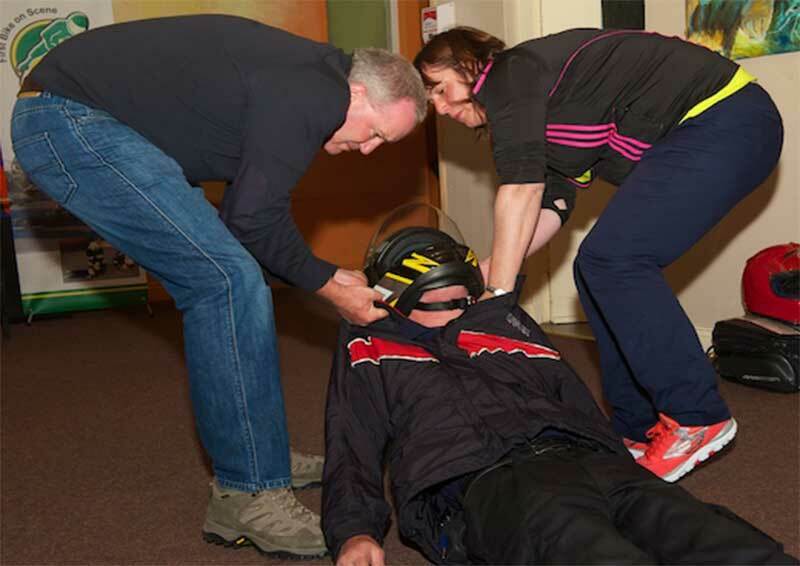 ‘I was on a First Bike on Scene training course in Ennis yesterday and I would like to say it was the most interesting and informative course I have been on for a long time. 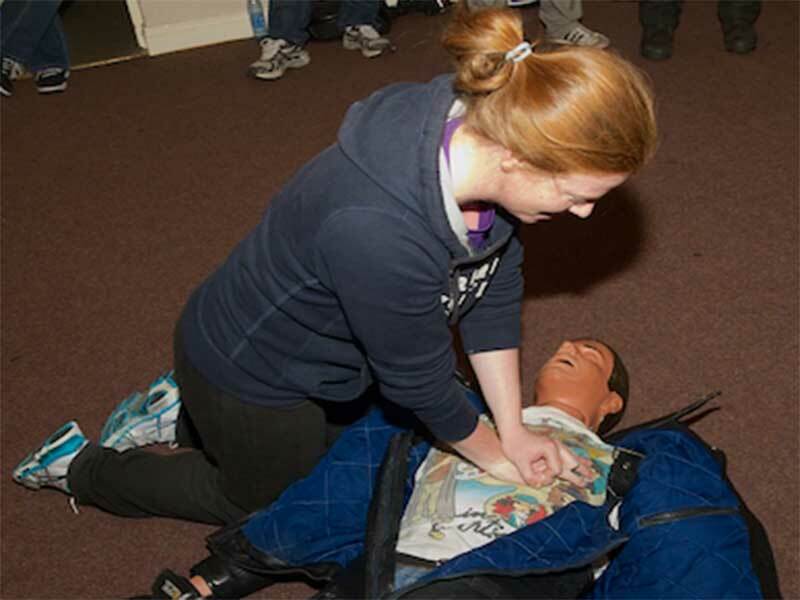 I learned things on it I should have known years ago including CPR, use of a defibrillator and many life saving tips. I now feel confident if I come upon an accident I can be of help which before this I could not. 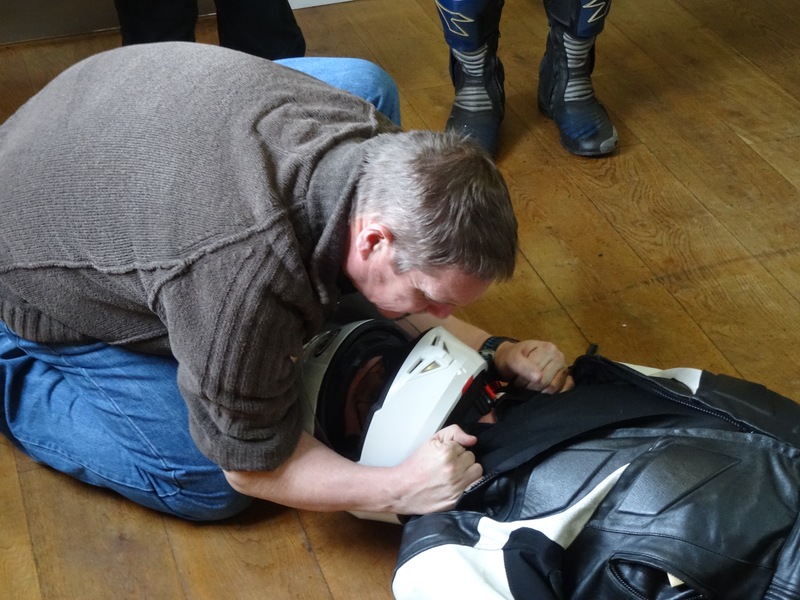 This training is invaluable for any type of scenario involving life or death situations so is not only good for motorcyclists but also car drivers and the general public. It should be included on any type of driver learning, workplaces, schools and colleges as standard. Selection of photographs courtesy of Eoin Stephenson and Graham Martin.